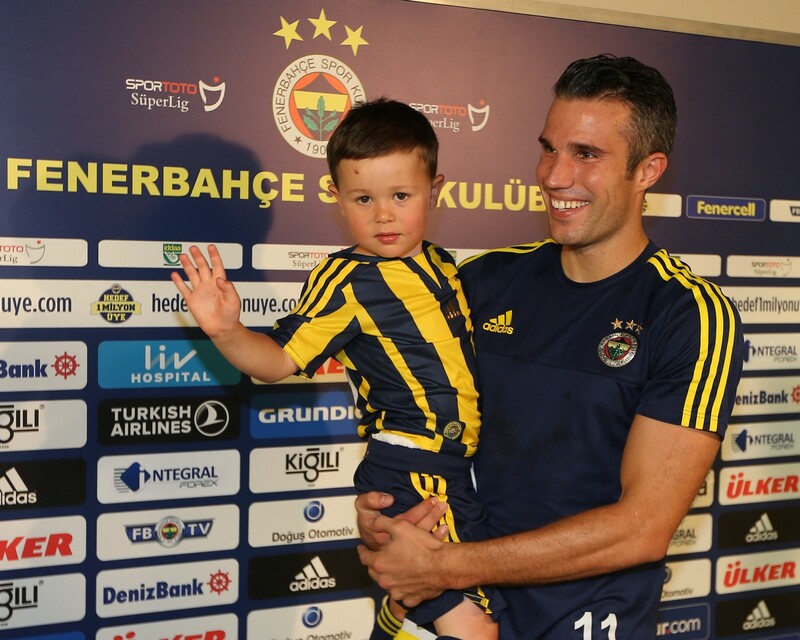 Robin van Persie’s move to Fenerbahce last month hit one five-year-old Man United fan especially hard. When Louis Diamond was informed of the transfer by his parents (who happened to be filming him at the time), he sobbed. 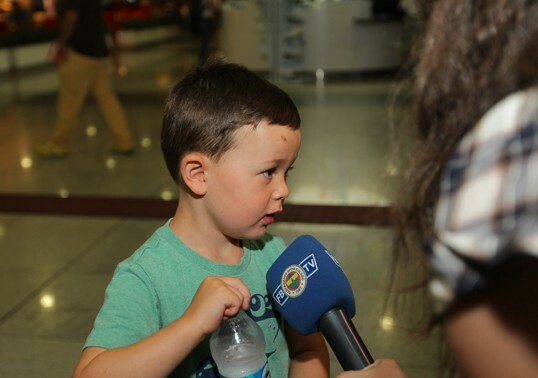 The video of the crying boy was uploaded to YouTube and caught the attention of Fenerbahce supporters, who began a crowdfunding campaign to get Louis and his family to Istanbul in the hopes of connecting him with his favorite footballer. This, in turn, got the attention of the club, who took the cause upon themselves and arranged for the Diamonds to attend Fenerbahce’s first match of the season and meet Van Persie after the game. The Diamonds arrived on Thursday and were met by television crews at the airport, with young Louis getting the star treatment. On Friday, they watched Fener open their season with a 2–0 win over Eskisehirspor. Then it was time for the main event. Louis and his family waited for Van Persie in the press room and when the player arrived, Louis and his brother gave the Dutchman a big hug. 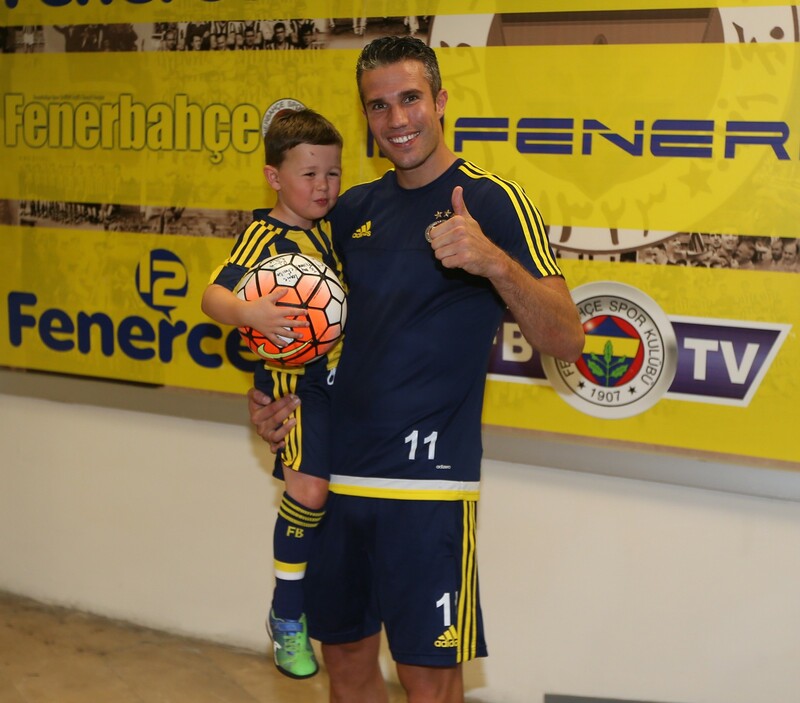 Louis, wearing his new Fenerbahce Van Persie shirt, presented his new best friend with the artwork he inspired. Van Persie, in turn gave Louis his match-worn kit. As part of the deal, a Fenerbahce board member, Ilhan Eksioglu, arranged for the family to have a five-day stay in Antalya, a popular holiday destination on the Mediterranean coast. All in all, it was a PR masterclass from Fenerbahce and lesson that filming your kids while they cry really pays off.